both sponsored by the St. Catherine's-Trinity Liaison Committee. 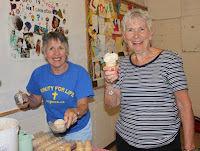 The events commemorated 17 years of sharing a church building and working together. 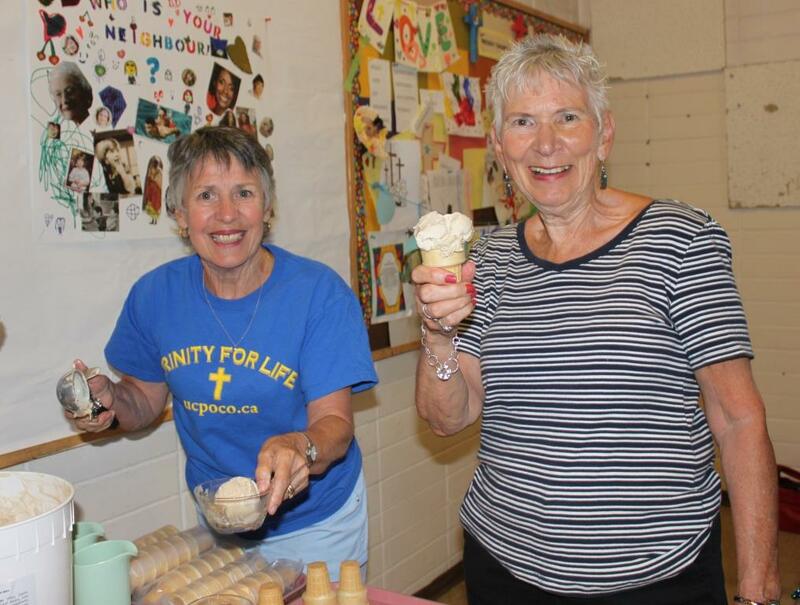 When St. Catherine's Church building on Shaughnessy Street had to be torn down due to structural instability, the congregation of Trinity United invited St. Catherine's to share their building. The Liaison Committee formed shortly thereafter to ease the growing pains associated with two congregations with different traditions occupying the same space. 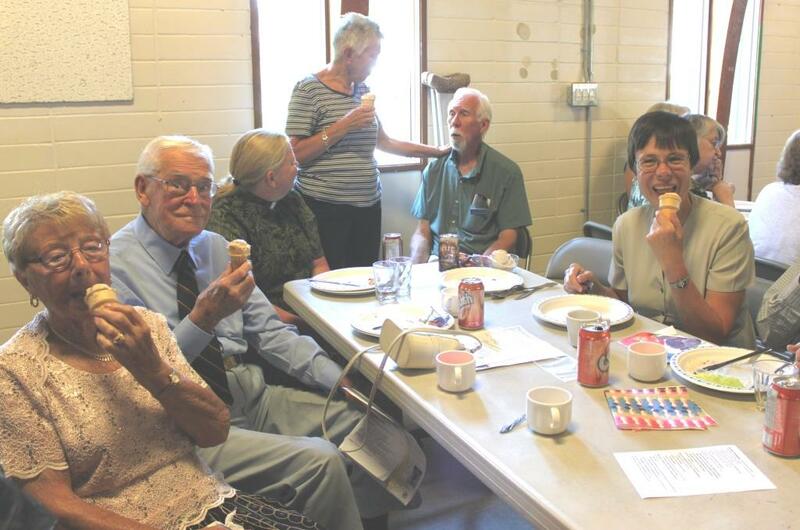 It has evolved from simply dealing with day to day issues into building a partnership that allows for shared ministry while respecting each other's traditions and maintaining the individual Anglican and United Church identities. 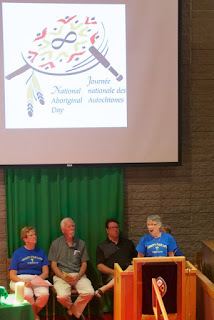 Since the joint service was held on National Aboriginal Day, it focused on respecting all peoples and on the work of the Truth and Reconciliation Commission. 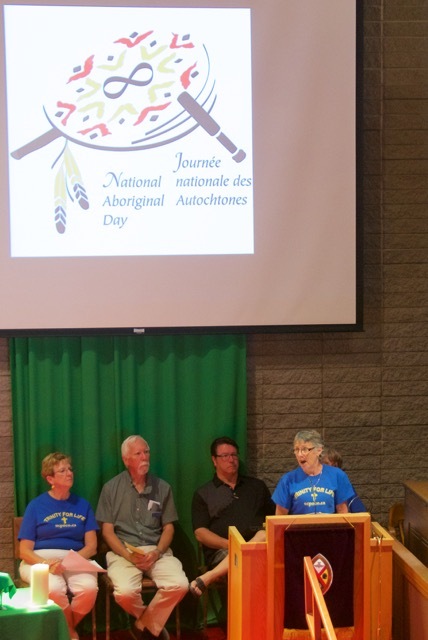 The message of the day included hard truths about residential schools and ways in which individual members of the congregations could contribute to reconciliation. 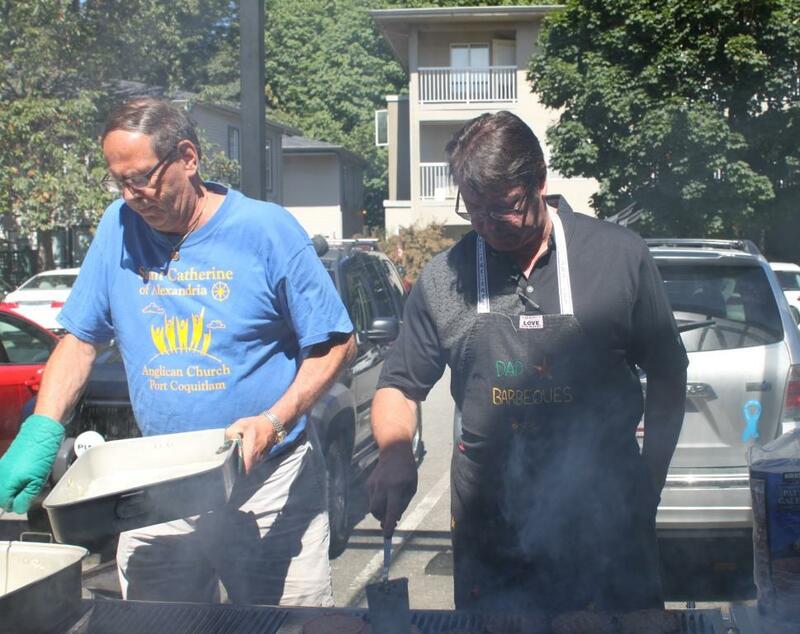 The barbecue that followed the service was an opportunity for fun and fellowship. It included perfectly cooked burgers and donated ice cream for everyone. Special thanks to Efcon Inc. Ethnic Food Concepts for the ice cream.